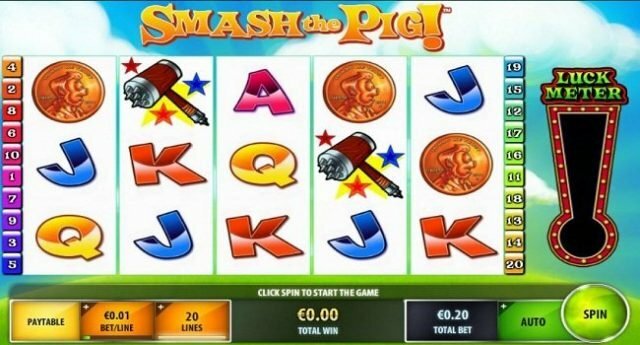 Smash the Pig is 20 paylines and 5 reels video slot powered by IGT software. 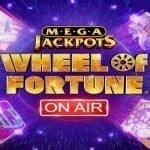 Total coin sizes for this slot are 20 and you can play this slot using your mobile and desktop for a starting coin size of 20 pence to £200 per spin. 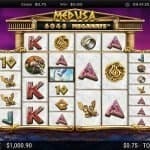 Smash the Pig offers a jackpot of 10,000 times of your total bet if you land 5 of wild symbols across a payline. 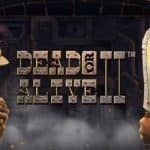 There are 2 bonus rounds available in this game. This is a porky themed slot game for which playing environment and graphics are superb. The cartoon style slot is set against a background of lush green hill and it contains symbols like A, K, Q and J playing cards as well as bronze coin, a hammer, the Smash the Pig logo and a wad of cash. 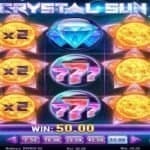 The latter symbol is the most paying symbol of this slot game and it will offer you 7.5,50 and 500 times of your total bet if you land 3,4 or 5 of these symbols across a payline. The winning combinations can be formed either from left to right or from right to left. As mentioned, there are 2 bonus rounds exist in this slot. The first one is pick a pig Bonus feature and this feature gets activated when you land 3 of the piggy bank scatters on your screen. In that feature you will have to pick a pig to get anything from 1 to 20 times of your total stake plus you will get another chance to pick the pig. While the second bonus features of this slot is The Pig Smashing Bonus feature. This feature can be triggered when you land 3 or more bonus symbols anywhere on your screen. Every pig that you pick will add luck to your luck meter which is located on the right side of the reels. To receive up to 20 times of your total stake during this feature you will have to pick 1 of the 8 pigs. This slot is a pretty cool fruit slot game that you would like to check it on any IGT online casinos.